Click here to learn more or buy now. It is spring 2013. Merry Pink and Adam Tennyson are now the proud owners of a newly restored Victorian dahabeeyah moored on the banks of the Nile in Luxor. Their plan is to offer luxury Nile cruises for people drawn to Egypt by the lure of nostalgia as well as the wonders of antiquity. But the tourist trade in Egypt is taking a long time to recover from the revolution of the Arab Spring, which toppled the Mubarak regime. So Merry and Adam jump at the chance of playing host to a genuine fee paying guest who does not expect to be cruised up and down the Nile. Ben Hunter is in Luxor to attend a lecture by a famous historian and writer who claims some of the Old Testament figures of the Bible were in fact ancient Egyptian pharaohs. 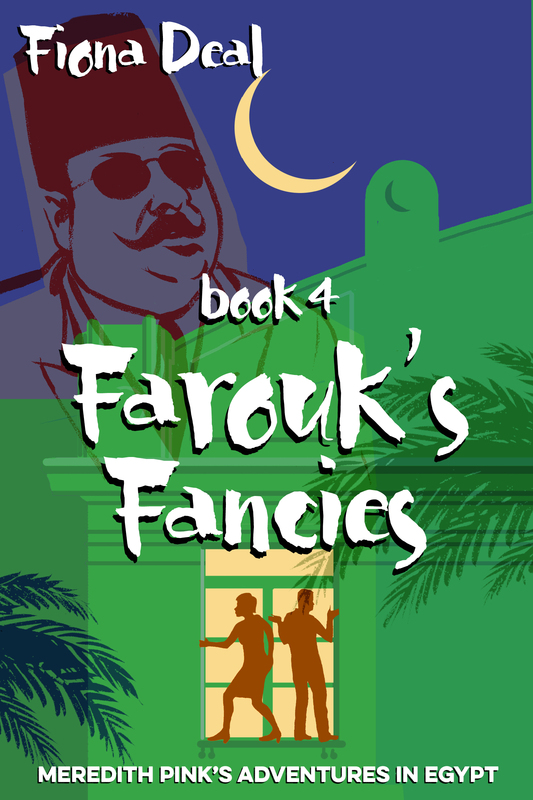 Ben has a letter from an old lady once close to the deposed King Farouk, stating she knows the whereabouts of an ancient parchment scroll which proves the writer’s claims. Intrigued, Merry and Adam join Ben on his quest to find the old lady and discover whether the explosive link between the Bible and Pharaonic history is for real. This latest novel is set just before the events of the summer of 2013 which saw President Mohammed Morsi removed from office. It’s the start of the next phase of Meredith Pink’s adventures in Egypt. She’s now no longer a tourist in Egypt, but planning to make her home with Adam in Luxor. The idea for this story combined a number of threads. I’ve always been fascinated with how the Dead Sea Scrolls were found in caves near the Dead Sea in Jordan by wandering Bedouin herdsmen. The unaccountable delay in their publication during the latter half of the twentieth century led to all sorts of conspiracy theories springing up. I was also interested in the theories put forward by some writers citing links between the key figures of the Bible and Pharaonic history. I read Ahmed Osman’s book Stranger in the Valley of the Kings many years ago. His claims that the Biblical Joseph was a high ranking nobleman at the court of Thutmosis IV have stayed with me, and provided something of a hook on which I could hang my story. And, knowing the Dead Sea Scrolls were discovered while Egypt’s last reigning Monarch, King Farouk, was still on the throne gave me a further avenue to explore. As ever, Merry and Adam have some fun while they’re getting to grips with events as they unfold. I do hope you enjoy their latest adventure. have read all 4 ‘pink’ books. didn’t think I’d like them at first, but now you have me hooked. Is there another one on the way? I’m an frustrated Egyptologist too, but more a Dan than an Adam. Dear Mrs Deal, I just finished the 4th book and it is absolutely wonderful. I couldn’t put it away. Living in Luxor, gives it a special twist. In my mind I retrace every step Merry takes and gives me the feeling I am taking part in her adventures. It also made me search the internet to know more about the period of King Farouk. Of course I already started with Akhenaten’s Alibi. Thank you very much for writing these great stories and good luck with number 6.